Actress Mouni Roy, who has made a successful transition from television to films, is on cloud nine these days. 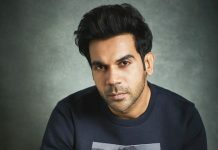 Her debut film Gold (2018) did fabulous business at the box-office, and now she is shooting for her second Bollywood outing Made In China opposite National award-winner Rajkummar Rao. The latest we hear that Roy has agreed to do a special song which will be featured in the upcoming film KGF. Farhan Akhtar and Ritesh Sidhwani, who launched Mouni in Gold, are presenting the Hindi version of the South Indian movie. It is made in five languages — Hindi, Tamil, Telugu, Kannada and Malayalam. The KGF team is set to recreate Sangeeta Bijlani and Jackie Shroff’s chartbuster song ‘Gali Gali Mein Phirta Hai’ from their hit 1989 film Tridev, also starring Sunny Deol, Madhuri Dixit, Naseeruddin Shah and Sonam. According to a source, Mouni will shoot for the special number on December 7 and 8 at a studio in Mumbai. 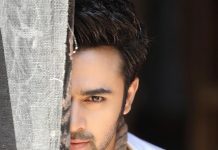 “She will have three look changes and will groove with Yash. The new version is a party track recreated by Tanishk Bagchi,” the source said. Helmed by Prashanth Neel, KGF is a two-part period drama set in the 1970s. The first part, starring South Indian star Yash, is slated to release on 21st December. It is set to clash with superstar Shah Rukh Khan’s much-hyped film Zero.